1. Collect your Ideas - The Inbox is your default task list in Planner. When you add a task, it goes straight to your Inbox unless you specify that the task goes into a project. 2. Get Organized - Create a project for each of your goals, then add the steps to reach them. Review these regularly to stay on top of things. 3. Calendar and Events - See your calendar events and plan your time effectively. Planner will remind you on the right day. 4. Be even more organized - Add a deadline to your tasks, create labels, use checklists. 5. 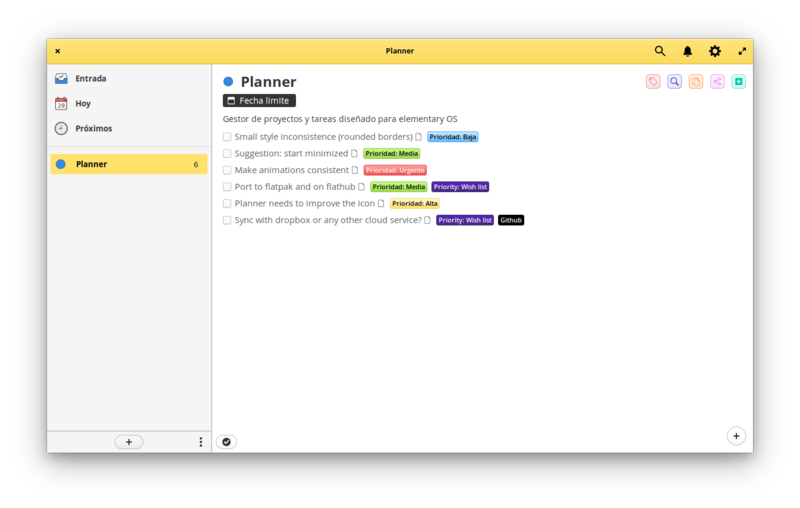 Share your progress - Share all the progress of your project or some special task, all this in Markdown. 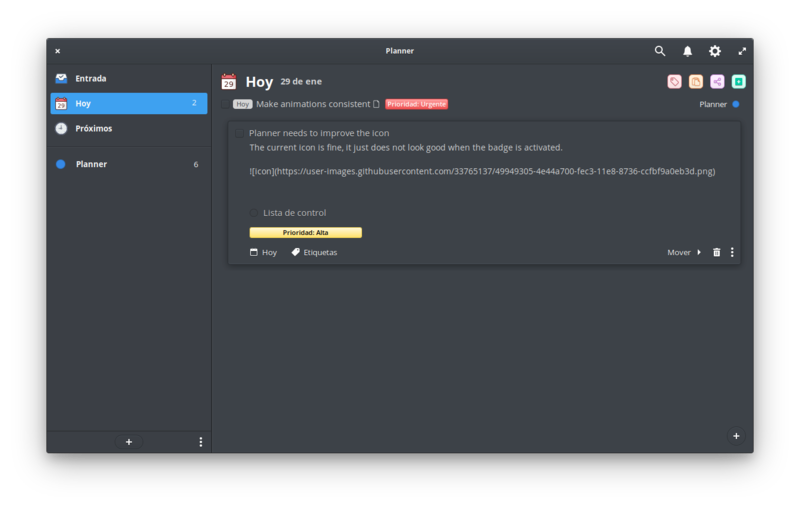 Get Planner and more on elementary AppCenter, the open, pay-what-you-want app store for indie developers. Every app is open source and has been reviewed and curated by elementary to ensure a native, privacy-respecting, and secure experience. New view "All tasks" and "Tasks completed"